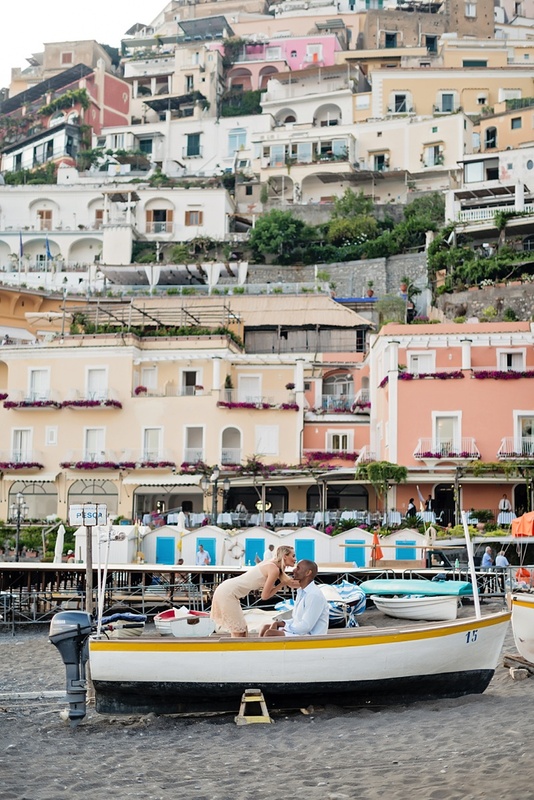 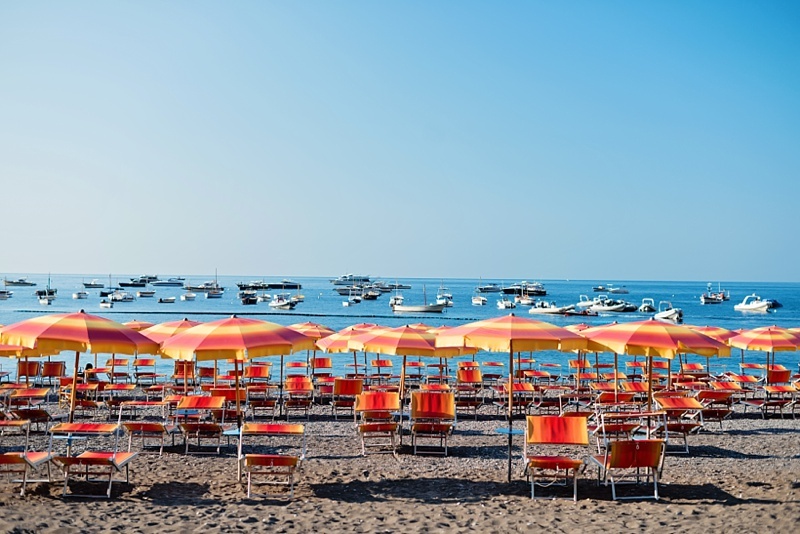 Colorful and chic seaside style to celebrate an anniversary on the Amalfi Coast. 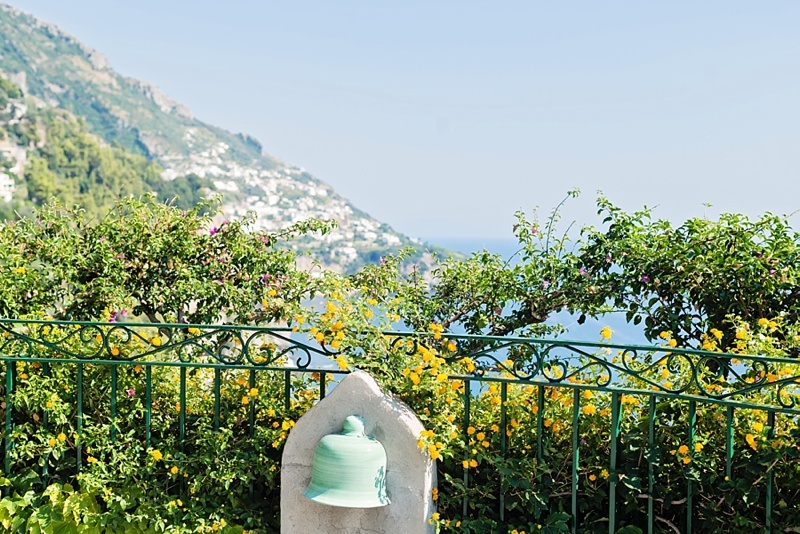 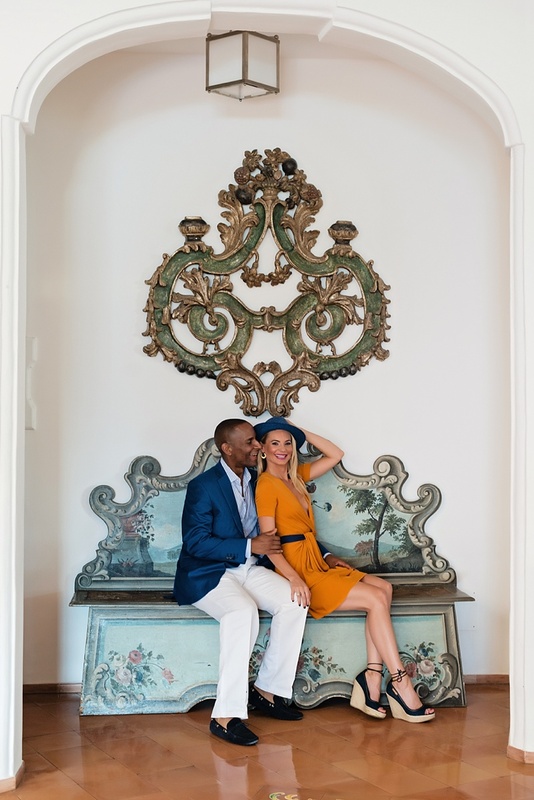 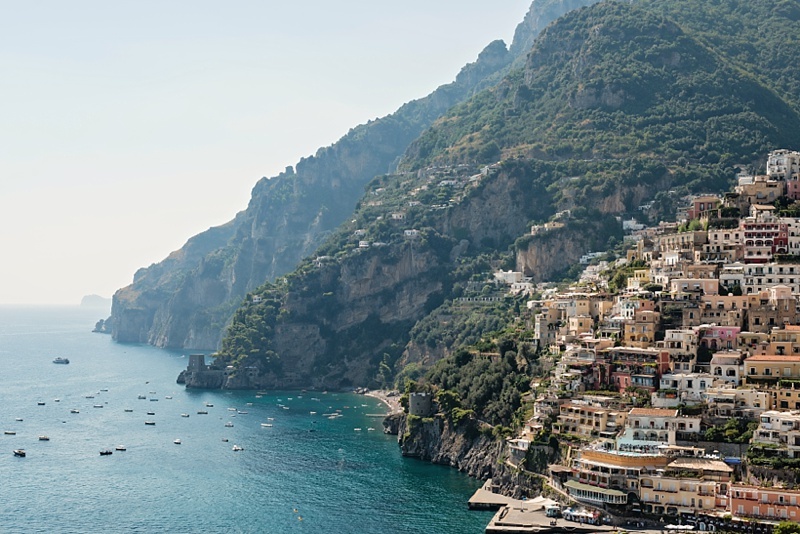 nspired by the colorful Amalfi Coast landscape, lifestyle blogger Bridjet of Bridjet Posts and her husband Bart designed their travel style for their destination first anniversary session with local-to-Italy photographer, Rochelle Cheever (who had also captured their wedding in Capri the year before!). 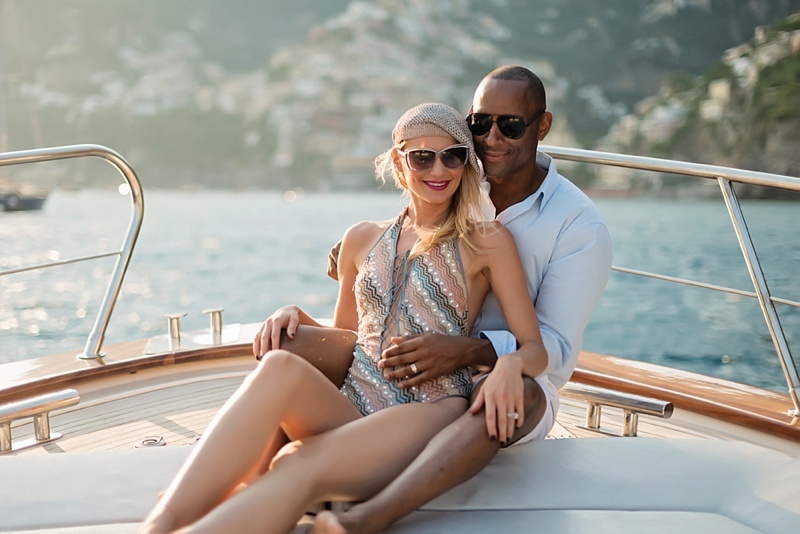 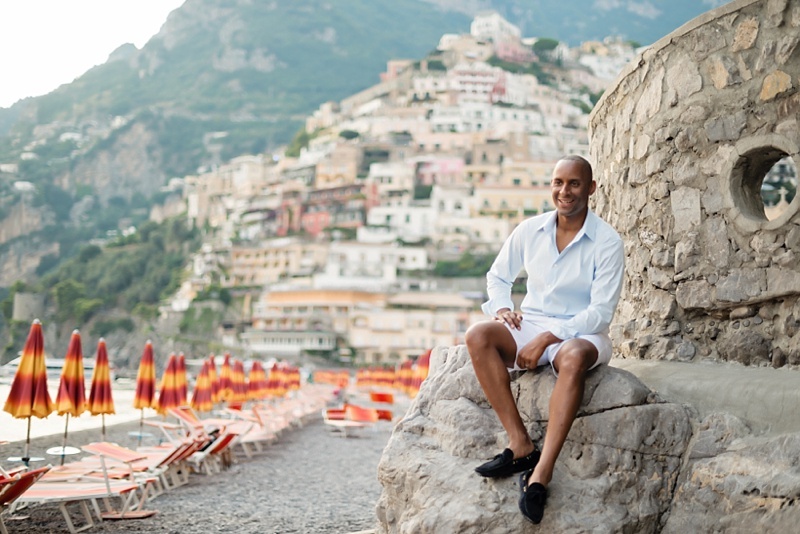 This gorgeous inspiration has it all from a modern Missoni swimsuit, sophisticated Hugo Boss suit, chic Sergio Rossi wedge shoes, and a classic boat for the most romantic transportation across the water ever -- all against the backdrop of the San Pietro Hotel and Spiaggia Grande Beach in Positano, Italy. 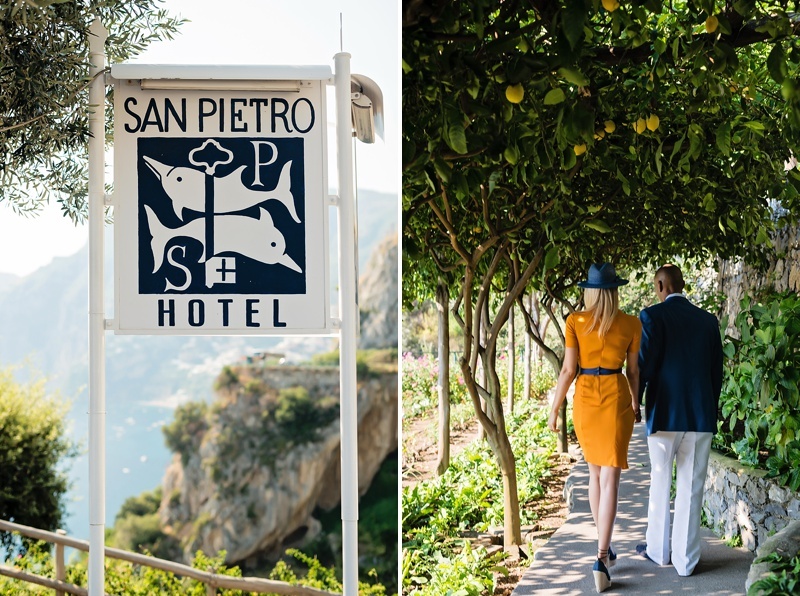 It's literally all the best ingredients for a stylish vacation in one of the most beautiful places in the world!